Having an unplanned pregnancy or being a young, single mom can be a time of mixed and bittersweet emotions but the one thing you need to know is that you are not alone. Embrace Grace was designed to help and encourage young single women that are experiencing an unintended pregnancy. Often part of the struggle is trying to find people that can relate to your situation and understand all of the highs and lows of emotions that you are experiencing. By joining a local Embrace Grace group, you will have the opportunity to meet other moms who may be in a similar life season. We are here for you and want you to know that there is hope! God still has an amazing destiny and purpose created just for you, all you have to do is grab a hold of it and believe. He wants to be in relationship with you because He put gifts and talents inside of you that only YOU have. 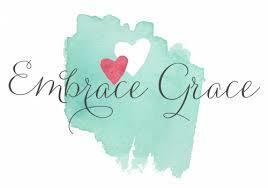 To find an Embrace Grace group near you, call 830-303-2151.